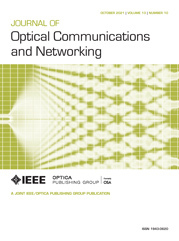 We present dynamic virtual optical network resource allocation (VON RA) algorithms for on-demand deployment of virtual wavelength switched optical networks (WSONs), which is handled by a resource broker with a virtual network topology manager (VNTM). The resource broker with VNTM dynamically configures and deploys independent instances of virtual WSONs over the same physical optical infrastructure and their own independent virtual generalized multiprotocol label switching control plane. The VON RA is computed by a path computation element using global concurrent optimization, which assigns the resources for the virtual optical links (e.g., wavelengths) and nodes. The experimental assessment and performance evaluation have been carried out in the ADRENALINE testbed. We discuss the obtained results on a National Science Foundation Network topology in terms of the VON request blocking rate and VON setup delay, which are used to compare the different proposed algorithms.